The Huawei Android 8.0 Oreo update is available now or coming soon for multiple devices, including budget device like the Honor 7x and Mate SE. Google’s latest software arrived in mid-2017, but many Huawei devices are only just now getting it in May of 2018. Here’s what you need to know about any and all Huawei Android 8.0 Oreo updates. While Google recently released a beta of Android P, most manufacturers like Huawei are still trying to finish the original Android Oreo update. Huawei still has multiple devices that need the latest software before they can move on to what’s next. So while they make great phones, updates aren’t a strong point. Huawei’s latest devices like the Mate 10 Pro already have Oreo, but other older devices don’t, at least not yet. And while the company hasn’t confirmed a list of devices yet, they are working hard on Huawei and Honor Oreo updates. Including new updates for the Huawei P10 Plus, a beta for the Honor 7X, and making announcements for others. As expected, popular smartphones from all major manufacturers will see an update to Android 8.0 or 8.1 soon. Well, if they didn’t get it already, or come with it out of the box. We’ve seen a lot of movement from Huawei, Sony, LG, and even Samsung. Multiple companies have beta tests well under way, or near completion. And others already updated every phone they offer, like OnePlus. This means throughout March and April tons of devices will get the new software. As we’ve seen in prior years, Huawei is pretty quick to software updates. And while many were hoping for a December arrival, that didn’t happen. Then, we waited with nothing exciting in January or even February. Now, we’re May is just about to start, and only a few have arrived. Why the delay? Well, that’s because Huawei has a heavily customized and user-friendly EMUI skin over stock Android. This adds a lot of extra features or controls, but at the expense of slower software updates. EMUI 8 is great, but it took a long time to arrive. Before we get into what’s new with Android 8.0 Oreo or EMUI 8, here’s a list of devices we believe will see an upgrade to Oreo within the first half of 2018. As more updates arrive, this list may expand and grow. Keep in mind that there are several versions of some of these phones, so we won’t list them all. Additionally, the Huawei P10 and P10 Plus are up next and getting Android Oreo in mid-March. We’re seeing the update for both models in multiple regions around the globe. Huawei confirmed the details on Facebook, and if you didn’t get it yet it should arrive soon. In closing, we also want to list a few that won’t get an update to Oreo. Again, we’re not 100% sure on the entire list, but a lot of phones won’t get Oreo updates. Like the Honor 5, Huawei Y3, Honor 7, Mate 8 (maybe), and Huawei Y3, Y5, Y6, and Y7, to name a few. Most of these phones aren’t available in the US either, so keep that in mind. Furthermore, Honor unveiled that some of these updates just started while the others will arrive in Q2 and Q2, but that’s the only information they’re sharing so far. Technically Q2 ends in June, so they only have two months left. That means we’re expecting a TON of updates in the next month or so. 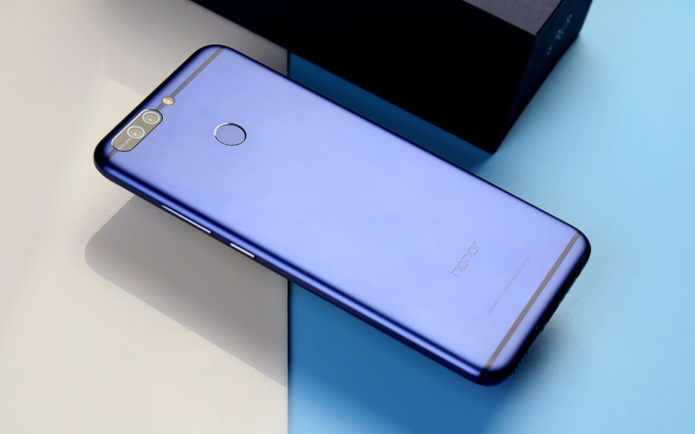 So far, the Honor 8 Pro and Honor 9 have updates. The biggest news is the Honor 7X is getting Android 8.0 Oreo starting April 30th. This delivers the latest EMUI 8.0 and tons of new features. This is the same software most of Huawei’s highly acclaimed phones already have. Huawei confirmed that multiple updates would begin during Q2, and we’re starting to see signs of that already. Again, expect a lot of movement throughout May and in June. That said, the international Huawei P10 and P10 Plus finished its Android 8.0 Oreo beta back in January, at least in select regions. And the update is rolling out on Rogers in Canada as April comes to a close. The Huawei Mate 9 in the US has the latest software, and we’re even seeing the Huawei Mate 10 Lite get Android 8.0 Oreo too. We’re seeing a lot of updates here in April and May of 2018 and expect more to continue. If your phone doesn’t have Oreo yet, it should get it within the next month or so. The Huawei Mate SE Android 8.0 Oreo update started on May 13th, and the Mate 9 (USA) is getting another build of Oreo right now too. Things are subject to change and we’ll continuously update this post as we learn more. Just know that a bunch of betas recently ended in March and April, and lots of updates are coming this month or in early June. In closing, stay patient because if you don’t have the update yet, it’s almost here. Software upgrades for multiple phones are just around the corner. We’re expecting Android 8.0 Oreo for a slew of Huawei and Honor devices in May. Even a few Huawei tablets will get it. Most likely all the flagship phones and popular budget devices will get it first, then some of Huawei’s lower-end devices will follow later this summer. We could see a few for tablets, and eventually other devices later in 2018. Additionally, we could see Android 8.1 Oreo, or the company will jump straight to Android P.
While Huawei and Honor are two different groups, they’re both working hard to deliver the best features and latest software to your device. Again, we’re expecting a lot of announcements in the near future, then more in May as Google shares more information and releases another version of Android P. Keep in mind that Android P won’t arrive until the end of the year, and Oreo is still the main focus for Huawei and Honor.